Equidate, one of the trading platforms that help employees sell their shares in pre-IPO unicorn companies, rolled out a new name and announced a $35 million expansion of its $50 million funding round publicised in July, reports Bernadette Tansey for Xconomy (FinTech Futures’ sister publication). Re-branded as Forge Global, the five-year-old company plans to continue broadening the services it developed as many venture capital-backed companies – “unicorns” already supposedly worth billions of dollars, at least on paper – delayed going public, even while some of their staffers and earlier investors yearned for faster routes to cash out their shares. By creating a secondary market for private shareholders, companies like Forge can address a big downside of putting off an IPO – the long wait for employees and original investors to pocket the financial gains they see on paper. These IPO delays are being made possible because venture capital firms, fat with cash, are eager to keep pouring money into large private companies that seem to hold out the promise of enormous payoffs down the road. San Francisco-based Forge says it has now completed more than $1 billion in secondary transactions through its electronic trading platform, which matches an international set of willing buyers with holders of vested stock options and private shares. The company has handled such trades for shares in companies including Spotify, Snap, and Square – three unicorns that have since gone public. Increasingly, global institutional investors such as sovereign wealth funds, family offices, wealth managers, pension funds, and global banks, are among the buyers in these deals, says Forge’s new CEO, veteran fintech investor Kelly Rodriques, who took the post in August. Private trading on the Forge platform generates a data trove that reveals the potential demand that could eventually fuel a public offering – which makes it valuable to pre-IPO companies, Rodriques says. That fact is enlarging Forge’s customer base, he says. “Forge aims to not only serve employees and [existing] investors, but also the companies themselves,” Rodriques explains. Forge intends to market its data to companies as they prepare to go public, or as they plan other strategies to extend the pre-IPO period. In the simplest example, the company could use its window on the going rate for its shares on this secondary market to guide the share price it sets for its IPO, he says. Among the other trading platforms for secondary shares, Forge names SharesPost and EquityZen as its closest competitors. These alternative funding options give companies market leverage in raising more capital on favourable terms from traditional investors, such as VC firms, Rodriques says. Beyond that, he envisions Forge replacing some percentage of the funding deal flow often available only to VCs and their investing partners. Rodriques states that Forge is now facilitating a combination deal that provides both a liquidity channel for current shareholders – which decreases the pressure on the company to complete an IPO – and also allows the company to raise additional capital through a new primary issuance of private shares. A company can support the secondary sale of existing shares owned by its employees and investors – even providing the names of willing sellers to Forge. In return for such a high-volume opportunity, Forge might negotiate fees lower than the roughly 5% it charges for smaller sales of shares by employees and early investors, Rodriques says. While Forge focuses on late-stage companies valued at more than $2 billion, it also accepts transactions involving companies worth at least $200 million, according to its website. Like private company shares and other private market investments, a stake in an LLC is a relatively illiquid investment compared with publicly traded shares, Forge advises potential investors on its website. But Rodriques says Forge will try to find a new buyer for a stake in one of its LLCs if the original holder wants to sell. All Forge investors must be wealthy enough to qualify as accredited investors who can afford the potential losses of investing in risky private shares. Companies will sometimes allow a big buyer to acquire preferred shares directly from a VC or other investor, Rodriques says. The new investor then replaces the seller of those shares on the company’s “cap table,” or capitalisation table. In November, Forge offered another route to investing in top late-stage technology companies by spinning out an asset management arm, Equiam, which operates a fund that holds private shares in 30 pre-IPO companies including Uber, Airbnb, SpaceX, WeWork (which recently changed its name to The We Company), Lyft, Stripe, Pinterest, and Palantir Technologies. The fund is pegged to the Forge Tech30 Capped Index, which tracks current valuations of those 30 companies. 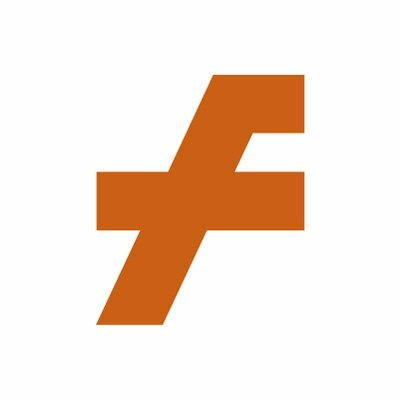 Forge, which had 14 employees in early 2018, now has a staff of about 38 people. With its influx of new capital, the company plans to increase its headcount and expand marketing and product development efforts. Counting its complete Series B fundraising round of $85 million, the company’s venture fundraising now totals $89 million. Forge announced in July it had secured $50 million in a Series B fundraising round led by Financial Technology Partners (FT Partners) and Panorama Point Partners. The Series B extension round, which reaped an additional $35 million, was led by German reinsurance company Munich Re, a Forge business partner. Among Forge’s early-stage investors were Peter Thiel, Tim Draper, and Scott Banister.